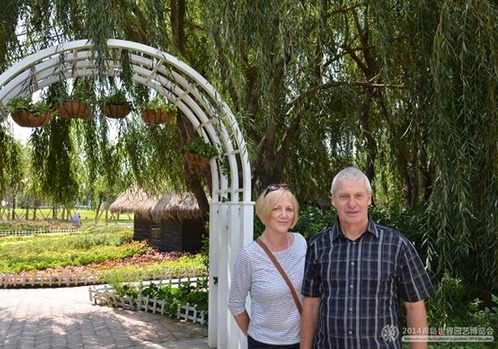 Mike F Browell, principal of Weddle Landscape Design, visited Qingdao International Horticultural Exposition, Shandong province, on September 23. Browell is a famous British landscape architect and a member of the Royal Landscape Institute, whose work has won various awards – one of which was for the best in UK landscape architecture and is a central event in the landscape architecture calendar. 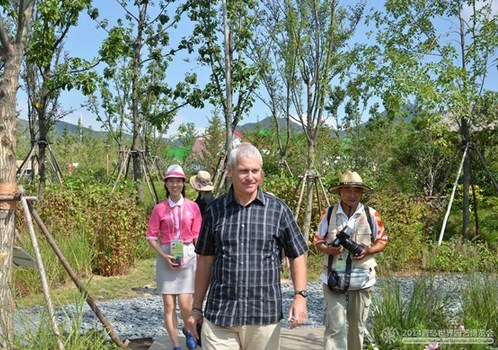 Meanwhile, he is also involved in the design work for the Botanical Pavilion and British Garden in the 2014 Qingdao International Horticultural Exposition.